The two aspects of cruising on Oosterdam that really stood out were the entertainment and service. Therefore, we spoke with the ship's officers about those aspects of the Oosterdam cruise experience. An entertainment revolution has taken place on Oosterdam. There is always something going on. Indeed, there are often multiple things going on. And what is impressive is not just the quantity but the quality of the activities and entertainment. To talk about this revolution, I spoke to the person in charge of entertainment Entertainment Director JT Watters. The title “Entertainment Director” is a fairly new one on Holland America. Traditionally, the cruise director has had two roles, acting as both the performing host of the ship and as a behind the scenes executive responsible for the programming and execution of activities and entertainment. Holland America has now separated these roles. The shows are only one part of Oosterdam's night time offerings. “If you would like to get away and just enjoy some nice piano music, we have that too up in the Ocean Bar.” There are also showings of recent movies in the Screening Room as there are throughout the day. To this end, Oosterdam has technology classes with Microsoft experts, culinary demonstrations done in conjunction with America's Test Kitchen and talks developed by O, the Oprah magazine. This is not to say that there is no home-grown programing on Oosterdam. For example, while most cruise ships have a port shopping expert who talks about shopping in the ports or call and a team of people who sell shore excursions, Oosterdam also has an expert who gives talks about the ports and who can answer passenger questions about the ports beyond the shopping and the excursions. Another aspect of Oosterdam that is striking is the attitude of the crew towards service. 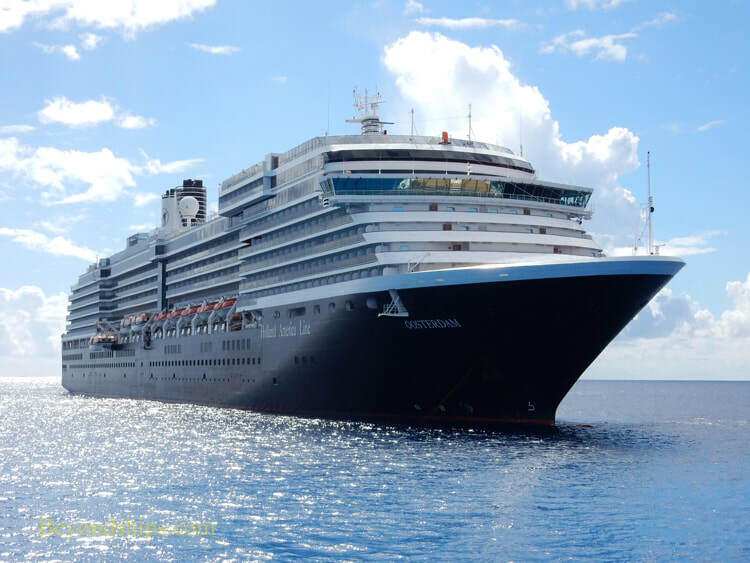 Holland America is a premium cruise line and so good service is to be expected. But on Oosterdam, the crew gives the impression of being happy to be there. “The majority of our crew are either from Indonesia or the Philippines. We are including other nationalities but still keeping it an Asian crew as much as possible. We have training centers in both of those countries. Before they join Holland America, the crew have their training there. As we end our contracts here, when we go back, we have re-trainings that we also do. It has enabled us to be hospitable,” explains Guest Relations Manager Annechelle Sy.